A non-military establishment, this trading post was also referred to as El Pueblo Trading Post. The post was established at the confluence of the Arkansas River and Fountain Creek in Colorado in 1842 by traders George Simpson and Robert Fisher, who had been working at Bent’s Fort, some 70 miles downstream on the Arkansas River. They were soon joined by a number of other traders including Francisco Conn, Mathew Kinkead, Joseph Mantz, Joseph Doyle, and Alexander Barclay. The trading post’s location was strategic, as it was located on the Cherokee Trail, Trappers Trail, and the near the Santa Fe Trail; it was the closest U.S. settlement to Taos, New Mexico, and the rivers provided plenty of water for agriculture. Surviving records indicate that the trading post was probably an enclosed plaza with rooms arranged in a square around a central courtyard. Access to the plaza was through a large gate, with the rooms having no entry to the outside. This would have made the post easier to defend. It was large enough that as many as 100 people could have lived there at any given time. 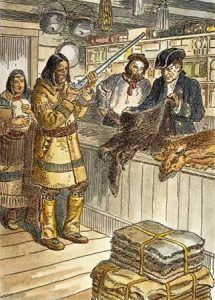 The forts’ owners and traders pooled their money and formed partnerships to operate the post and primarily traded with the Ute and Apache Indians in the area supplying the natives with sugar, cornmeal, flour, blankets, guns, coffee and other trinkets in exchange for buffalo robes. In the spring, a number of trappers would also bring their furs down from the mountains to sell to the proprietors of El Pueblo. Afterward, these independent trappers spent the summer loafing about the fort with their Indian or Mexican wives, leading some to describe a large part of Pueblo’s population at that time as renegades, outlaws, discharged soldiers, fugitives from justice, desperadoes, idlers, and loafers. An agricultural community grew up around the post and many of these area people sold their produce and livestock to emigrants along the trails. One of the most popular items sold was goat’s milk, and the trading post was soon nicknamed Milk Fort. However, that same year, George Simpson, Joseph Doyle and Alexander Barclay established another trading post about 23 miles west of El Pueblo, in a settlement that would become known as Hardscrabble. In June 1845, Mexican trade restrictions prevented traders from getting goods from Taos, New Mexico, which was in Mexican territory. At that time, many of the traders left El Pueblo. In the meantime, Andrew Drips, the Indian Agent on the Upper Missouri River, had long been trying to find the source of alcohol that was being traded with the Indians. In 1845, he laid the blame on ”a reckless band of desperadoes” who brought the dangerous stuff in from Mexico and ”engaged in illicit and destructive trade with the Indians.” He identified these traders as being located at El Pueblo and Hardscrabble, Colorado. The same year, Stephen Watts Kearny also recognized the source of the smuggled liquor and suggested that a sub-agent be stationed at Bent’s Fort, 70 miles below Pueblo. However, the Mexican-American War intervened and nothing was done at this time. In the absence of any government agency to stop the illegal importation and trade of alcohol with the Indians, it continued. In 1846, a colony of some 275 Mormons, mainly from Mississippi, but also from parts of Alabama and Tennessee, wintered about one-half mile east of El Pueblo on the south side of the Arkansas River. The next May, they departed for Salt Lake City, Utah. By this time, the fur trade was declining and during the Mexican-American War, trade was suppressed between the United States and Mexico. The post was entirely abandoned by 1849. After the Mexican-American War ended and the California Goldrush began, Colorado saw an increase in the number of travelers and settlers in the area. Mexican settlers took over El Pueblo in 1853. Though the Ute Indians had signed a peace treaty in 1849, as more and more settlers moved into the area, the whites brought with them diseases, encroached upon their lands, and depleted the wild game, making hunting difficult. As a result, the angry Ute Indians, along with their Jicarilla Apache allies raided settlers and villages for food. The troops at Fort Massachusetts, Colorado were tasked with stopping the raids, but this would take several years. On Christmas Eve, in 1854, the Ute and Apache, led by the Ute Chief Tierra Blanca, attacked the Mexicans at El Pueblo, in what is known as the Fort Pueblo Massacre. During a celebration at the post, the traders let in a group of about 50 Indians who they thought were friendly. However, the Indians attacked, killing 15 men and kidnapping a woman and two boys. The soldiers at Fort Massachusetts were fortified with troops from Fort Union, New Mexico to permanently subdue the Indians, who were eventually forced to cede their lands in the San Luis Valley. After the massacre, the fort was occasionally used by travelers and others in the area as a temporary shelter, but it never had any long-term occupants. As the old post began to crumble, settlers used the adobe bricks of the ruins for other purposes and soon built over it. Before long there was a new settlement which the people called Pueblo. Today, the El Pueblo History Museum sits near the fort’s original site. 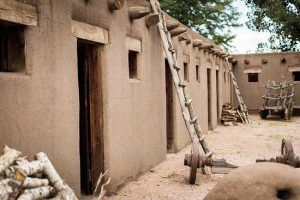 The museum includes a replica of the old trading post as well as an archaeological excavation of the original 1842 El Pueblo trading post. 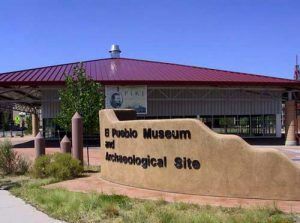 The museum is located at 301 North Union, Pueblo, Colorado, 719-583-0453. 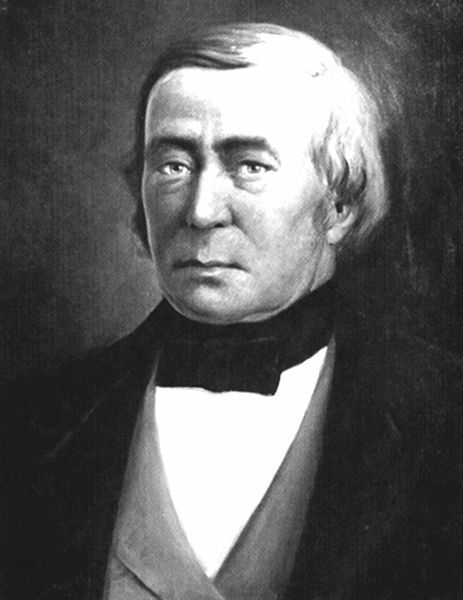 LeCompte, Janet S.; Colorado Magazine, Colorado State Historical Society, April, 1854.